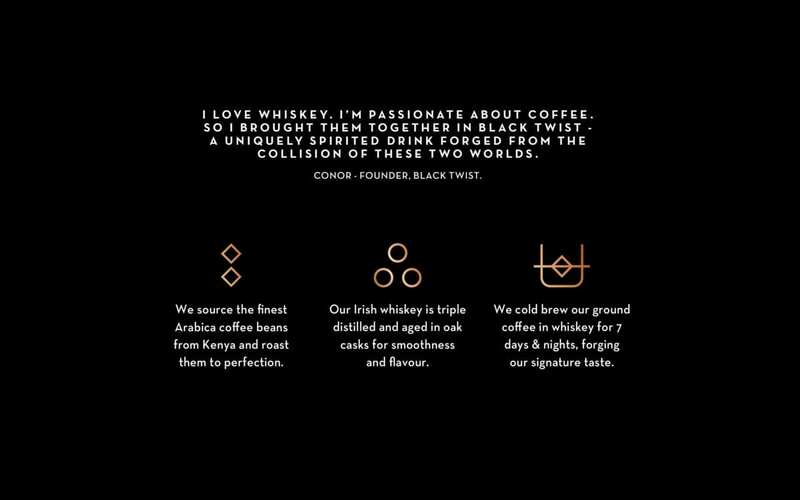 The Monday morning of a short holiday week calls for a unique blend of whiskey and coffee. 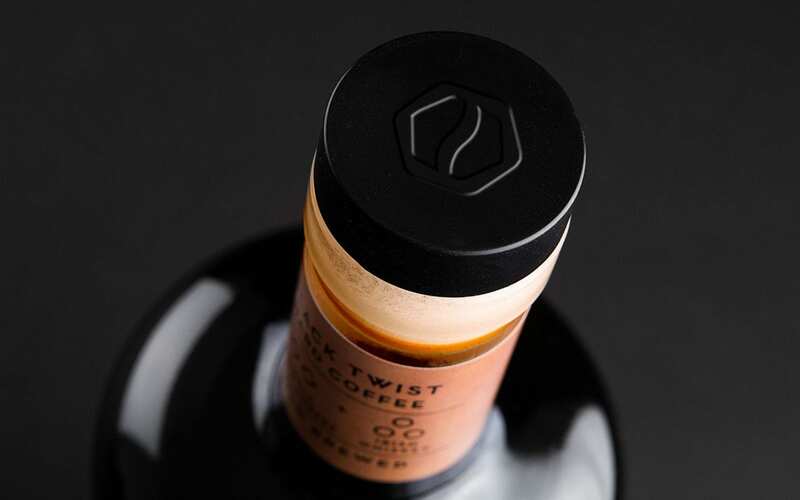 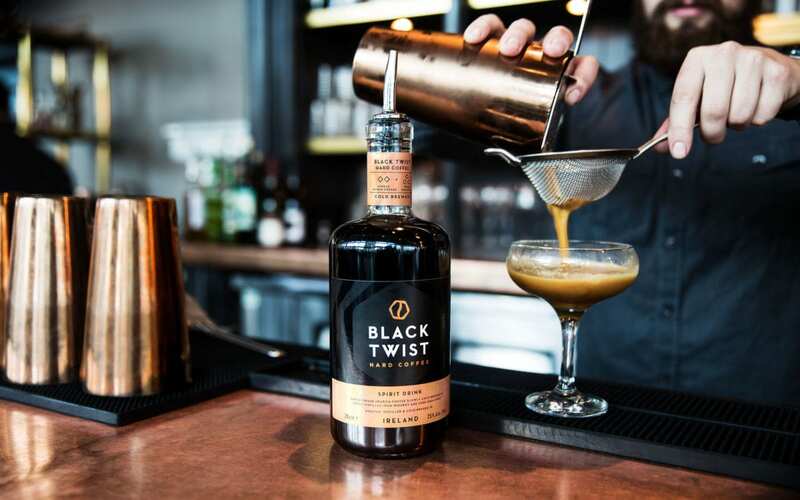 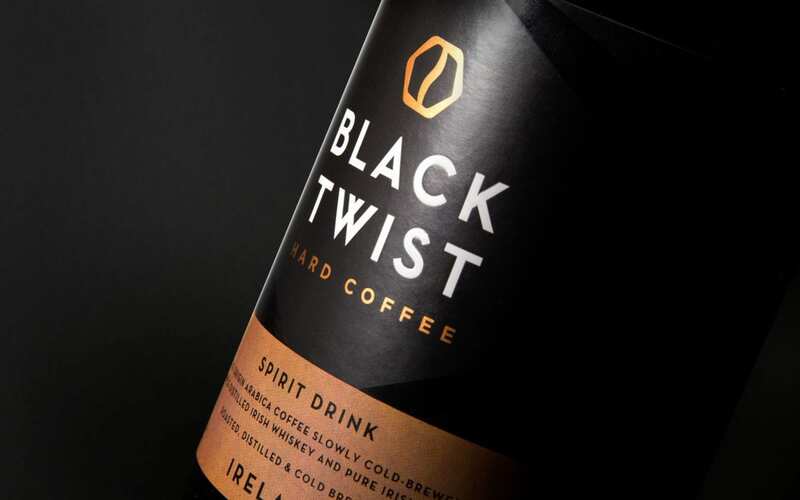 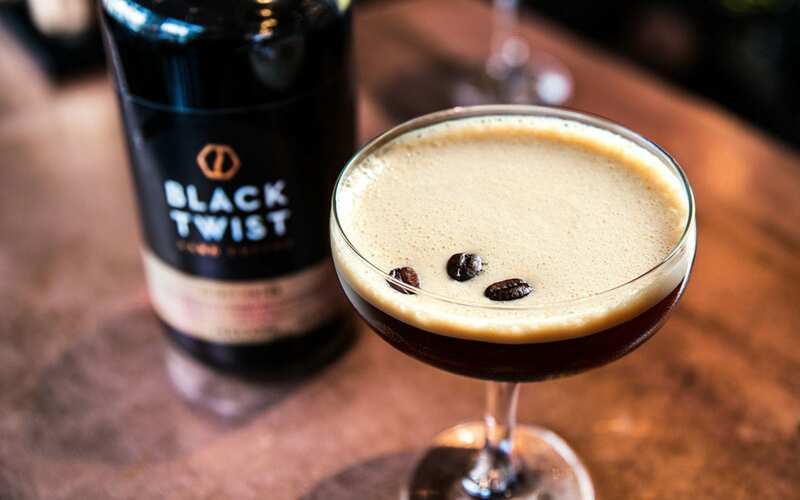 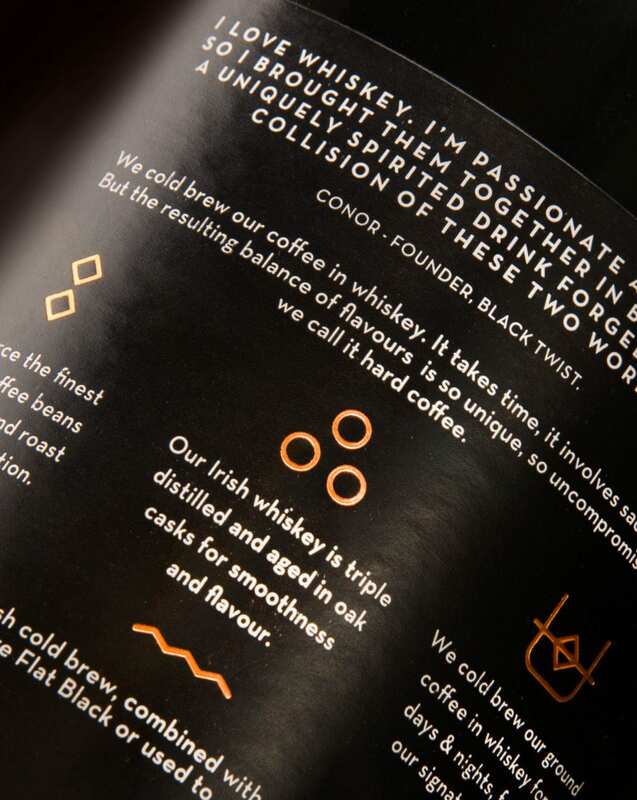 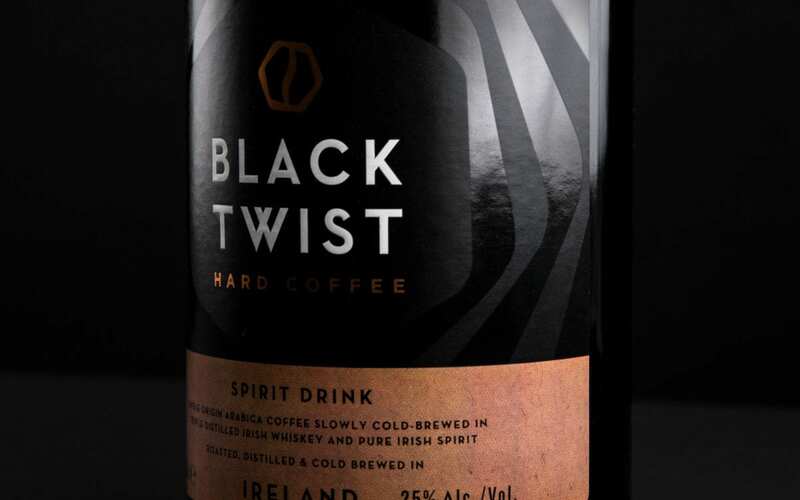 Black Twist is just that, featuring coffee that is cold brewed for a week in Irish whiskey, meant for those hipster coffeehouses that turn into bars after the sun goes down. 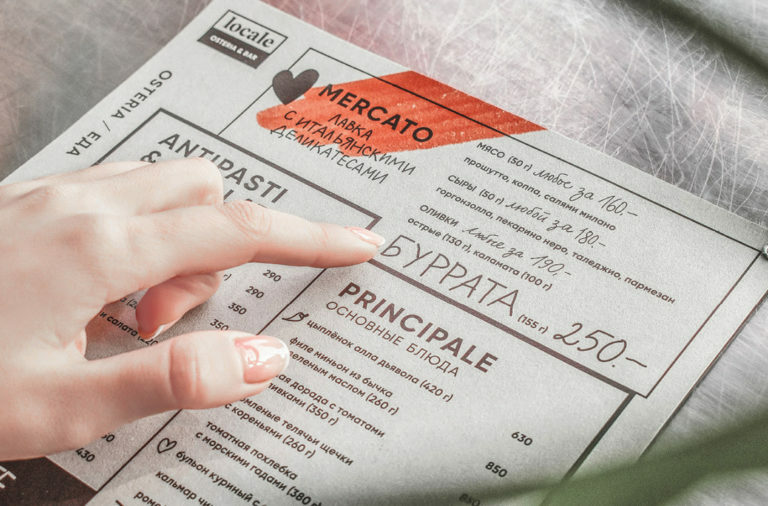 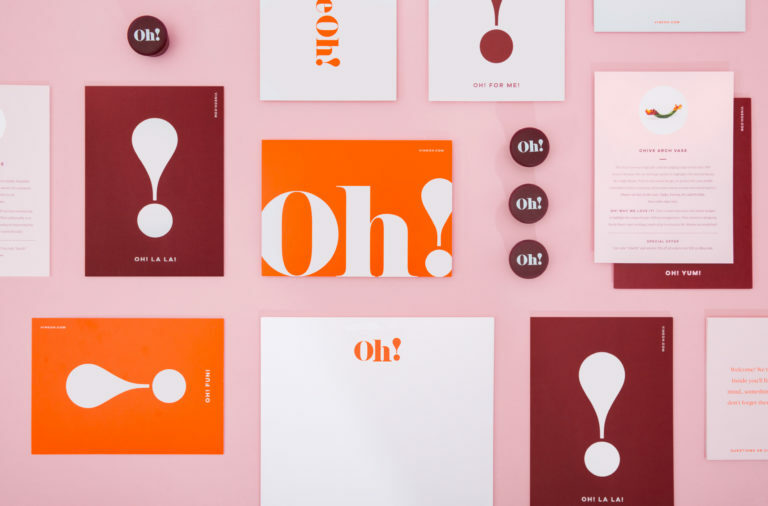 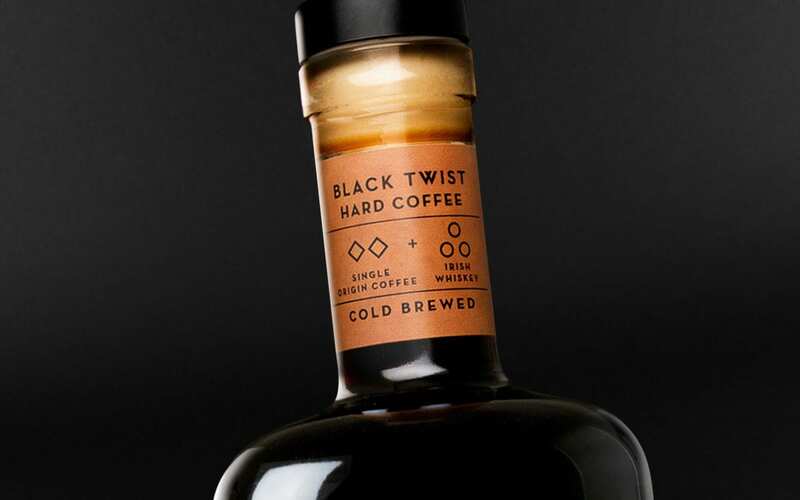 Black Twist has a distinctly masculine feel to it; sharp, all caps typography grabs your attention instantly, and the simple palette of dark warm gray and copper adds an upscale touch. 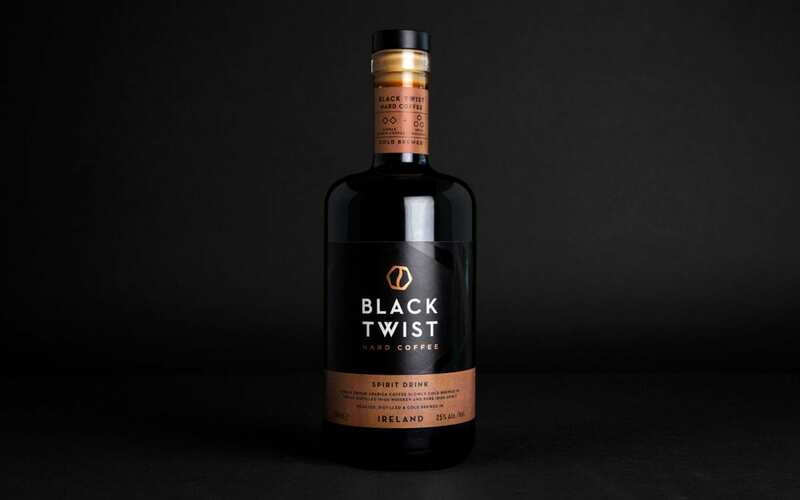 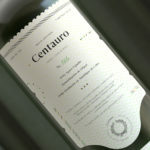 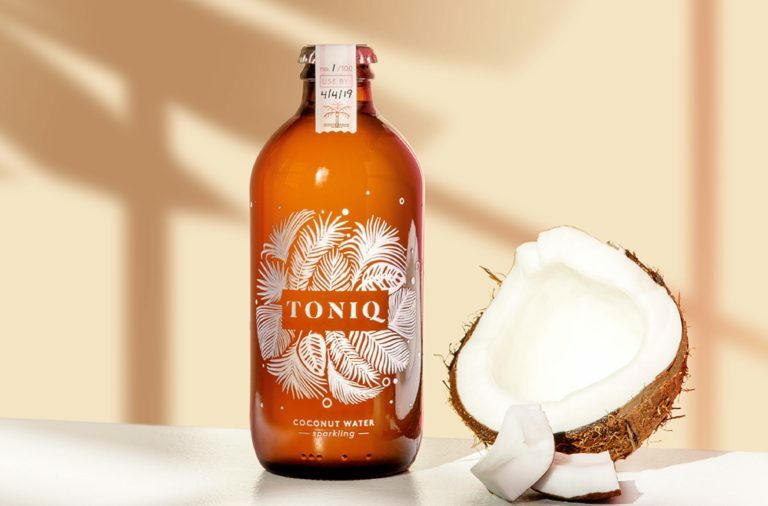 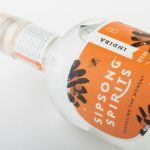 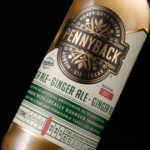 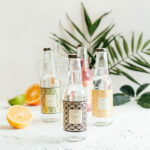 Using a bolt as the main brand icon, and having it twist out from the wordmark as the brand pattern adds hypnotic quality to the bottle as if it’s pulling you in for a closer look. 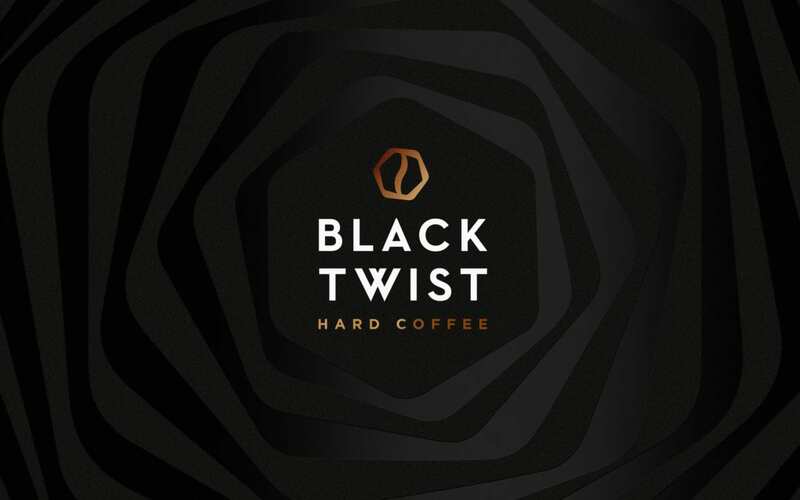 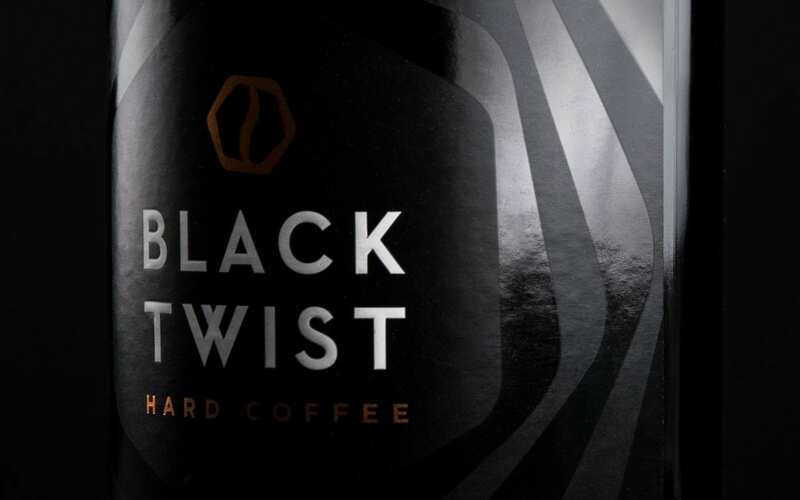 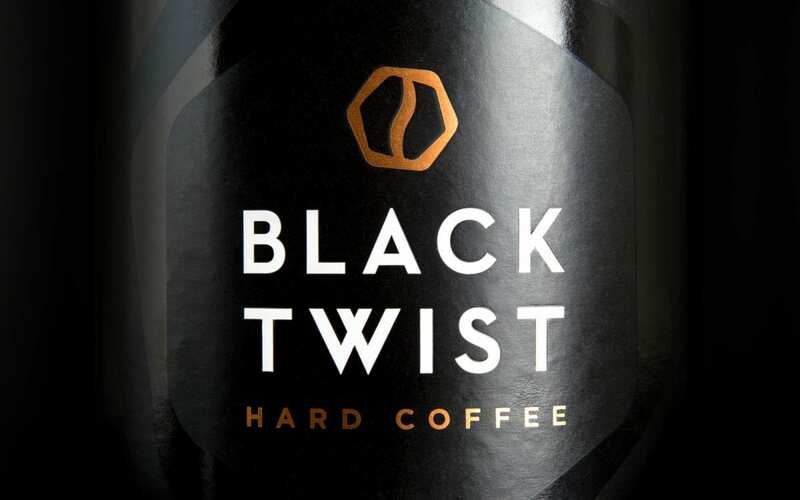 Black Twist Hard Coffee Branding & Packaging by Robot Food.